When you invite someone to your home for the first time, you have to tell them how to find you. The easiest way to do this would be to simply give them your address. From there they can navigate directly to your home. Similarly, a domain is your website's address. It’s how visitors will find their way to your website. Selecting your domain is an important step, as not only will it affect how easily your customers find you, but it can also help improve SEO for your brand. Additionally, once you’ve selected your domain, you don’t want to change it down the road. That can make it more difficult for established customers to find you, and you’ll have to make changes to all of your marketing materials. 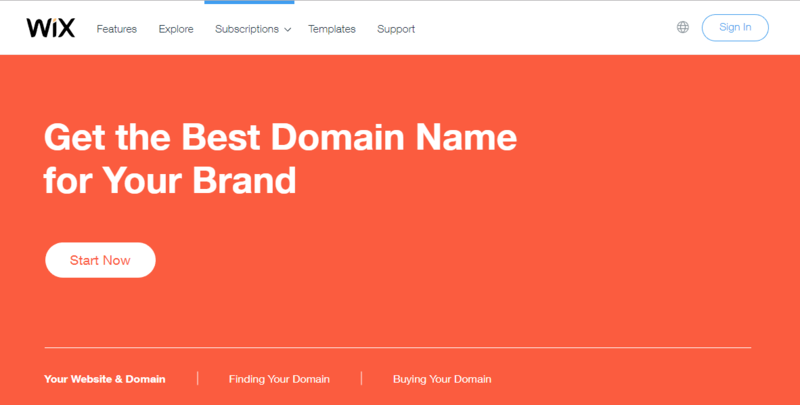 We will walk you through domain registration, the reasons you need a domain name, the best ones to select from, and how to get a domain name for free. In our example, if the domain is equal to our home address, then the web hosting is like our house. Your internet address is called an IP address. An IP address consists of a long string of numbers that really only makes sense to a computer. To make an IP address easily accessible, we purchase domain names that will route to our specific IP addresses. ICANN (Internet Corporation for Assigned Names and Numbers) is a non-profit organization responsible for managing domain names. In order to get a domain name, you’ll need to purchase one from a domain name registrar who is accredited by ICANN. In order to purchase your domain, ICANN will require that your information be published in the Whois Public Internet Directory. Not providing accurate information is a violation, and you run the risk of having your domain deleted. In order to protect your information, you may want to opt for private registration, which should be available (for an additional fee) through your registrar. Your registrar will also want to know how long you want to purchase the domain. Purchasing a domain is closer to leasing a car than it is to actually making a purchase. You’ll purchase the domain for a set period of time, after which you’ll need to renew your purchase. Different companies will have different lengths of time available. The costs of building your online store can be intimidating, but they don’t have to be. There are options out there for hosting and your domain that are affordable, and they are important to consider. 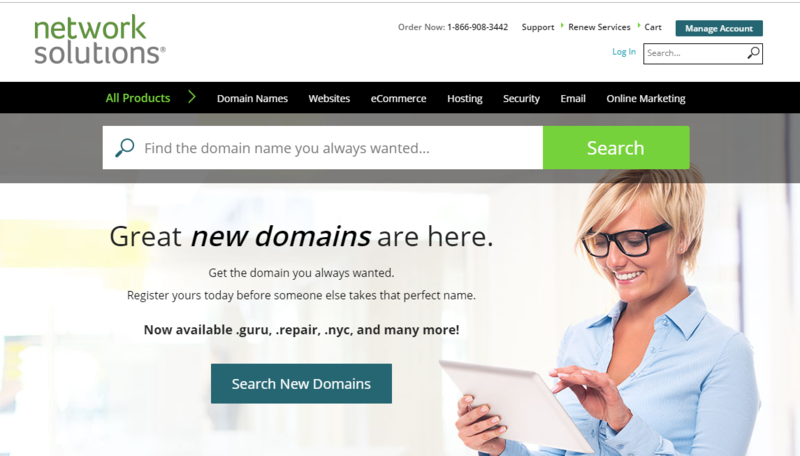 There are websites where you can get a free domain, but it’s typically a subdomain. For example, yourdomain.com would be a domain you purchase, but yourdomain.weebly.com is a domain owned by the company and you wouldn’t be able to transfer it to a different host down the road. While this option can help save money, you want to take into consideration the future growth of your business, and what you want your brand to look like. Would Nike be the business it is today if it was Nike.weebly.com? The other benefit for owning your own domain is that you can send and accept emails from support@yourdomain.com. This helps customers contact you quickly and easily. When you purchase a domain, you can purchase a .com. 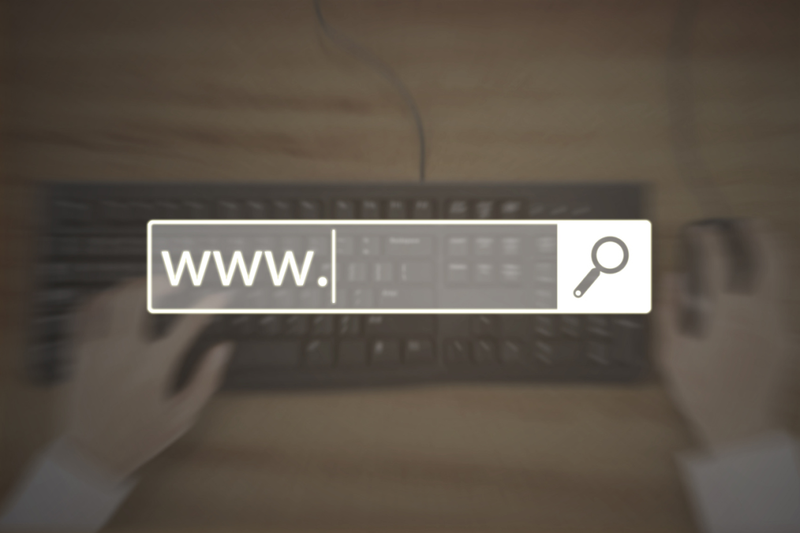 With .com sites being the most prevalent sites on the web, customers may find it easier to remember, and easier to find than using an alternate TLD (top level domain, like .net or .tk). 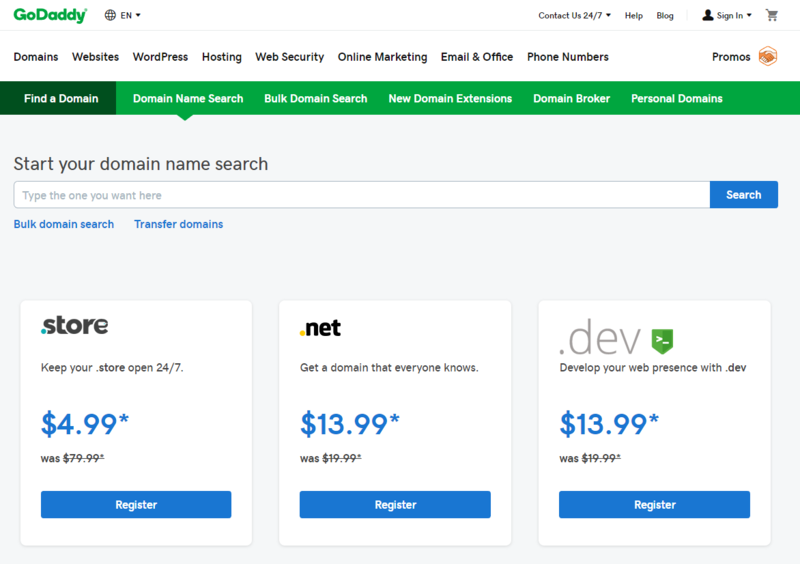 All of this raises the question – What Domain Registrar should you use? You have a wide variety of options. Make sure to look at each one carefully, as different companies offer different specials, and different features that set them apart. Here are five sites where you can’t go wrong. Godaddy.com has been around forever. In fact, they boast over 18 million customers with over 77 million domain names. A company this size is able to offer competitive prices and domain management solutions. Networksolutions.com is known to be flexible, and they offer a 24/7 tech savvy support team. Check them out if you have unique needs. 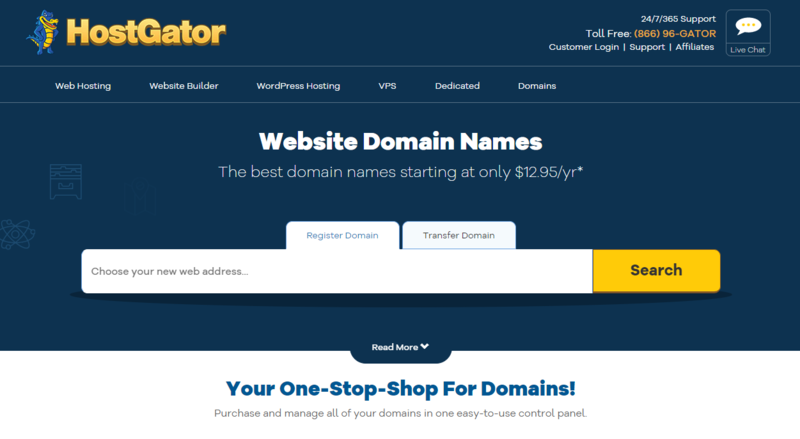 Hostgator.com provides domains as well as hosting, and for as little as $3 per month. They also have a reputation for rarely going down and are known for their reliability. Namecheap.com is reasonably priced with free DNS and WHOIS protection. They also offer tutorial videos and chat support if necessary. 1and1.com has been around a long time, and they regularly offer specials that will get you a domain for as little as $1 for the first year (but it jumps up after that). Getting a free domain name means making some sacrifices. There are certain features that you may have to do without to get the budget price – it just depends on the registrar you choose. Some will require you use a less common TLD, some will only provide a subdomain, and some will only be free for the first year. Look carefully at what you are giving up to determine if the (approximate) $10.00 you’re saving per year is worth it. The .TK domain is available for free for one year. After a year you can opt to renew it for free, but it’s not done automatically. You also won’t be able to find any site building features or hosting features. This is an ideal option for someone who only needs a short-term solution. 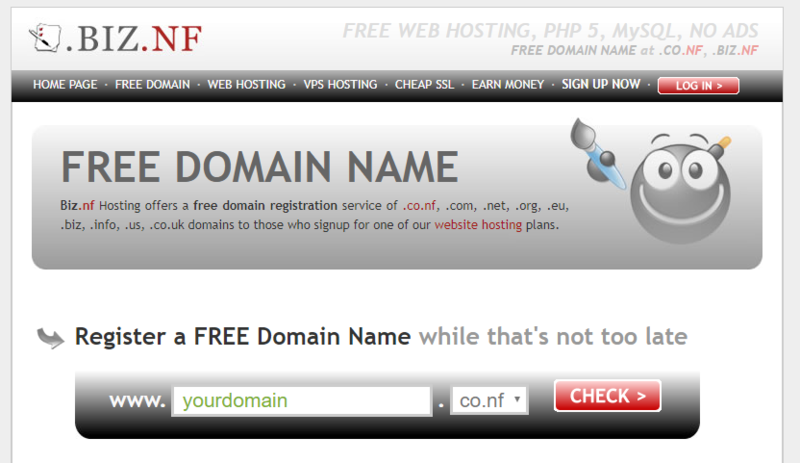 Available at Biz.nf you can register your very own .co.nf domain name. This one is available for an unlimited amount of time (unlike .TK domain), but unfortunately, it’s only available for use with their hosting services. The basic package is free, but once your business grows it can’t be transferred to another hosting site. Weebly.com is a great place for the novice to get started. With lots of drag and drop tools you can create a great starter website. One downside to website builders in general is that they place ads on your page, though they do offer an upgrade to eliminate the footer ad. 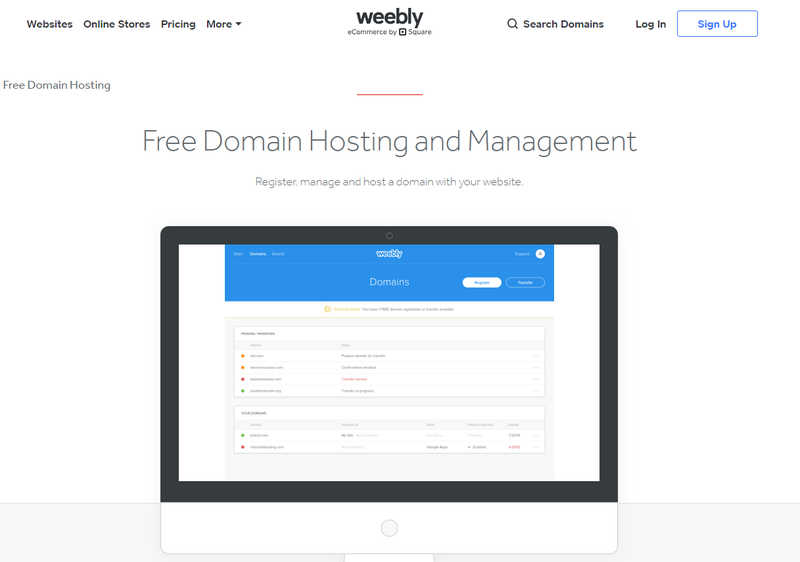 Because Weebly only offers a subdomain, your domain name will be long and possibly difficult for your customers to remember. It may look something like: www.yourdomain.weebly.com Remember you don’t own subdomains, so you won’t be able to relocate your domain to another host down the road. Wix.com is a website builder as well, and they have different sized packages available depending on the size of your business. When you purchase a Wix website builder package you receive your .com domain name free for one year, however after that it will resume a normal pricing schedule. Wix offers a lot of features to customize your site. 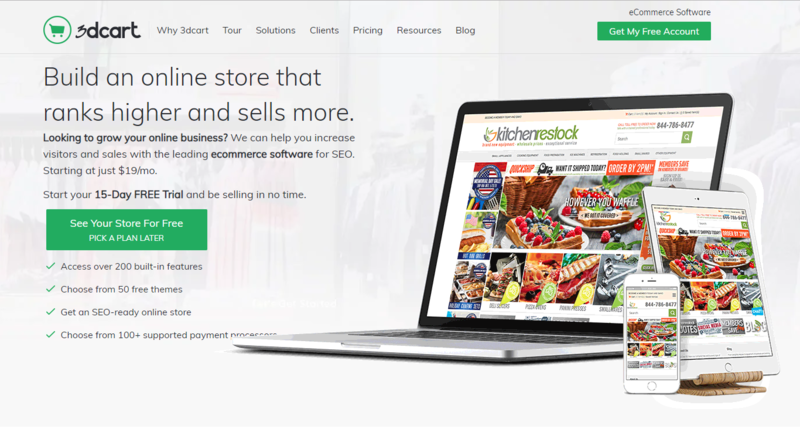 3dcart is the perfect solution for those looking to build an online store. Not only is your .com domain name free for life with your 3dcart subscription, but all plans include domain registration, 24/7 tech support, a Facebook store, easy to use themes, unlimited bandwidth, and more. 3dcart also offers four different plans, meeting the needs of any business at any size and growing with them. Free website domains are available, and are the perfect solution for a variety of causes. What it really boils down to is what options are a necessity, and which options you can sacrifice. Also consider your level of experience with technology. If you find computers frustrating, then choosing separate companies for both registering your domain and hosting may prove to be more of a headache than it’s worth. For a company that consists of only 1-2 people you may find that the accessibility that sites like 3dcart offers invaluable when it comes to saving time. Make sure that the company you choose can help you achieve your long-term goals, can grow with your company, and has the tools you need for success.